The following pencil sharpener was provided by Classroom Friendly Supplies for the purpose of this review. 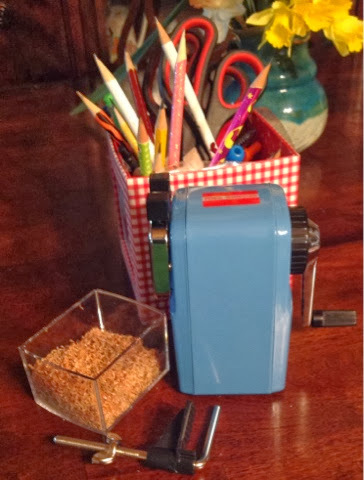 Classroom Friendly Supplies sent us one of their COOL BLUE metal frame original Classroom Friendly Sharpeners. My nine year old son opened the package and assembled the sharpener with little assistance. He also independently sharpened all of the pencils that he found in our house. There are several great features. It is a manual sharpener which means no cord and no electricity is needed. It is lightweight and easily portable. Included is a simple clamp which connected it easily to our table. The hole into which the pencil is inserted has teeth which grab the pencil and hold it in place. A simple lever releases it after you sharpen it. The attached clear plastic tray is simple to slide out and empty. These sturdy, easy to use pencil sharpeners are available for $24.99. Need more explanation? The simplicity of the design is evident in videos on their website. The only negative is that we found new pencils to be more difficult to sharpen than resharpening used ones. Some users might find that frustrating. My son attempted sharpening a pencil without it clamped down, and was unsuccessful. This just means a supporting surface is necessary. One of the unique aspects of this particular model is that it allows the user to sharpen a pencil with one hand! There are so many benefits to this. This sharpener may be used by someone with limited range of motion in one arm resulting in more independence with this typical school skill. Disclaimer: I received a free copy of this product in exchange for my honest review. 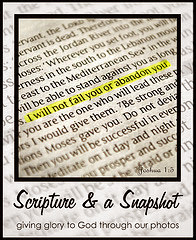 The product mentioned above was provided by the company for this blog review. Affiliate links are included in this post. This is disclosed per FTC guidelines.